The Shrine of St. Therese Lodge is in need of major repairs and upgrades. This 80 year old building is the oldest and largest log structure in Juneau, and holds a special place in many people’s hearts. We feel there is too much history in the lodge that would be lost if the structure were to be demolished. In order to pay for the renovation, we will need your assistance. A donation of any amount will be much appreciated. Let’s work together so that our children and grandchildren can enjoy the lodge in the years to come. The Shrine of St. Therese in Juneau, Alaska, is known as a place of refuge and retreat where one can more deeply sense the presence of God in our midst. The Shrine Lodge (and cabins) on the Shrine property allows one to come to a place of shelter, and experience the presence of the Holy Spirit individually or as a part of a small group. 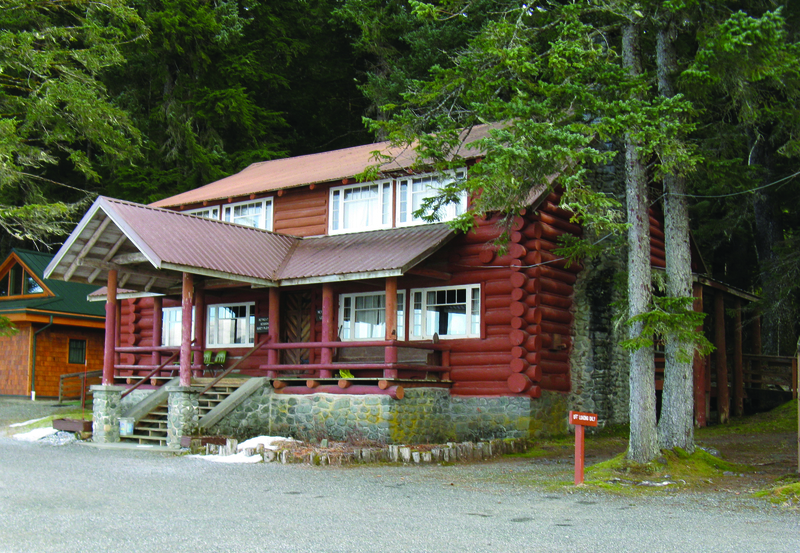 The Lodge, as a retreat facility, was a first in the Territory of Alaska, and throughout the last nearly 80 years it has been used by countless people for retreats and gatherings of families, friends, and well-meaning groups. The concept of the Shrine of St. Therese was a dream that Fr. William G. LeVasseur, S.J., who was chancellor of the Vicariate of Alaska and pastor of the Church of the Nativity of the Blessed Virgin Mary in Juneau, held for several years before it came into fruition. Fr. LeVasseur always referred to the dream as a “reality” which came forth through much effort, along with the door-opening of the Holy Spirit. Bishop Joseph R. Crimont, S. J. was in full support of Fr. LeVasseur fulfilling this dream and he supported his efforts fully. 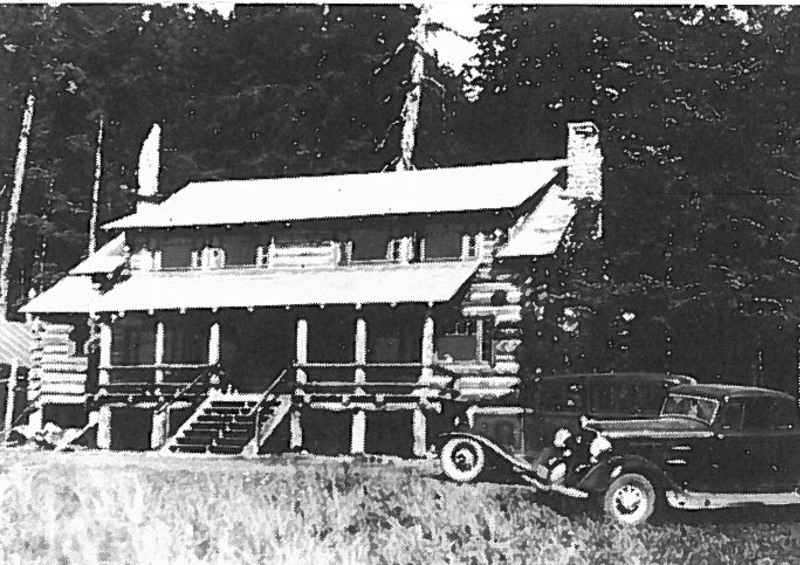 After the initial procurement of property from the U.S. Forest Service for the Shrine grounds, the first structure to be constructed at the Shrine was the Shrine Lodge—or retreat house—building commenced in 1933. Since this was a period when the depression was in full bloom, the finances for constructing anything were a real challenge. This did not deter Fr. LeVasseur and his faithful supporters, and by the grace of God the Lodge proved ready for retreats much sooner than many expected. 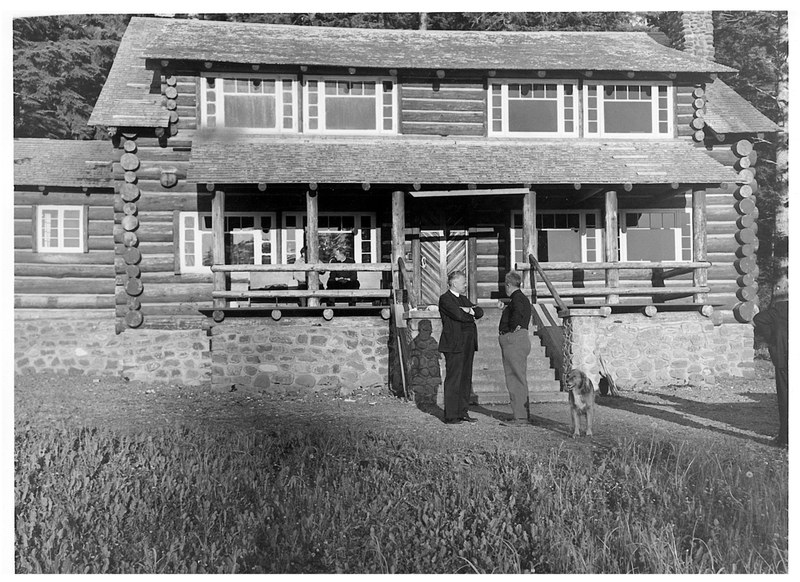 The donated logs for the Lodge were cut within a few miles from the Shrine; with much effort and ingenuity the building, under the direction of Henry Meyers, took form and was nearly completed by 1935. It was no easy task to build this two story facility with the heavy local logs, but where there is a will and, if God’s plan, there is always a way. By late 1935 the exterior was almost finished and the interior work in progress. Doc Holden, the stone mason, put his hands to the task and fashioned the stone chimney for the completion of this fine building. Over the past years the Shrine Lodge has had various changes to help maintain its usefulness for retreats and gatherings. Even with these updates, the structure has aged considerably and is in need of some life-enhancing endeavors to provide a safe and comfortable structure for retreats and day-use in the years to come.